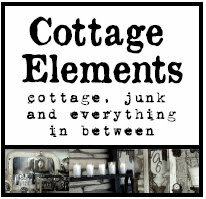 Cottage Elements: Winter Blues . . . So is it me, or is anyone else feeling the winter blues and needing to get away? Doesn't help I'm fighting the crud! But I am so tired of the cold and feel a need to venture to warmer places. Any suggestions that are reasonably priced, yet still luxurious? 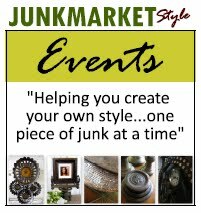 Junking available would be a bonus :) Calgon, take me away.....please? PS I'm trying to revamp my blog to a cleaner look. Bare with my during the changes. Any suggestions? I hear ya! I wish it would just warm up a bit and the sun would shine most days. It has really been a drag this winter. Can't wait for spring! i am thinking of getting rid of the foo-foo details on mine. It's the lack of sunshine that is killing me!!! We had a couple of sunny days last week so the little dog and I sat out on the back porch sunning ourselves! It was still cold so I was hugging a cup of tea too! 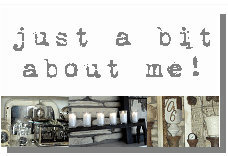 Can't wait to see you new pretty blog-I need help on mine! Hope you feel better! texas! .. come to texas .. in a few weeks - right now you would need a boat .. on a different subject .. love the cleaner look of the blog .. nice ..
Oh you're not the only one! Unfortunately I don't know of any great vaca. spots, but I've been finding myself sitting in the window with the sun streaming in each afternoon. Ditto!! Winter, snow and cold, bronchitis... so ready for a warm & sunny days! Hang in there... the good about the midwest... we really appreciate the spring! Lani, I hope you feel better but I am the same way. It's the winter blues for sure! You are certainly welcome to come on down............but all we have had is dreary rain.....spurts of freezing fog UGH! Your blog is great. I am struggling with mine ALL the time! Lani, I know what you mean! Give me warmth please! When Spring gets hear I don't think I will ever come inside! I want to soak up the sun. I just keep looking at everyone's blogs that live in Summer right now. I can dream of being there! Hey Lani! Perk up...January's over...it's all down hill from here! Check out our latest bog post...I'd love for you to share some of your ideas! UHHHH Fiji sounds good right about now. U up for it? I am feeling the blues / blahs /yucks from this snow weather -- and more snow to come to Virginia -- more YUCK! Snow is beautiful but I am really getting tired of being stuck in it !! trust me...any of us junkers in minnesota know exactly where you are coming from! heck! my big get away this winter was just to nebraska but at least it was a change of scenery (sorta!...still lots of snow there)! I am from Minnesota, too, but I like the hibernation energy of winter. Maybe you could turn your bedroom into a "summer" room - close the door, light candles, turn on all the lamps for a warm glow, put art on the walls of flowers and beach scenes. . . that kind of thing. Then cozy in under those blankets and rest and dream. When you wake up, it will be summer! I have a very wise 90 year old friend who always says that on cloudy days we must carry the sunshine in our hearts. I can certainly sympathize with you about the cold Minnesota winters--we live in Northern Minnesota about 60 miles south of the Canadian border where it's even colder that where you are! Thankfully, I have a bright and cheery weaving studio and the in-floor radiant heat from the cement under my feet keeps things toasty and warm. Also, this is a good time for me to be very productive INDOORS doing things I never have time for during the spring and summer months. Right now, I too am in the process of changing my blog, only I'm going from very stark and blah to a more energized look. Although I think I'm over the top with too many "things" in the sidebars and might change from the 3-column back to the 2-columns. Love your blog, so keep up the great work from one MN blogger to another!